In today enterprises many are faced with the challenge of managing both Windows 7, 8, 8.1 and 10. This means that most have a multitude of PowerShell versions out there which in turn does not ease the management tasks faced. 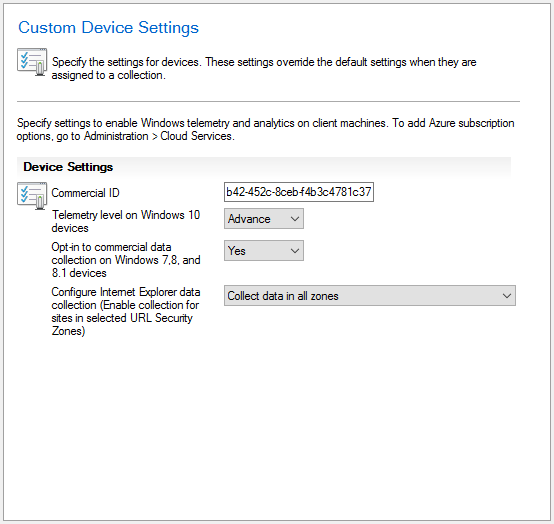 If you are running ConfigMgr 2012 or later you have access to one of my favorite features called Compliance Settings. Use this feature you can easily keep track of your environments different settings and measure compliance. One of the things I like to measure is the current running PowerShell version. I do this for two reasons. Number one, I want to now that my systems are running the version set out as a baseline. Number two is that if they are not running the correct version I get an easy way of finding them all and hence an easy way of correcting it. So the tasks including creating a Configuration Item, linking it to a Configuration Baseline, deploying said baseline to a collection of workstations and creating a collection of devices that are not running the correct version. In your ConfigMgr console find the Assets and Compliance workspace and then under Compliance Settings you will find Configuration Items. Create a new one and give it a name, I will be using “PowerShell Version”. 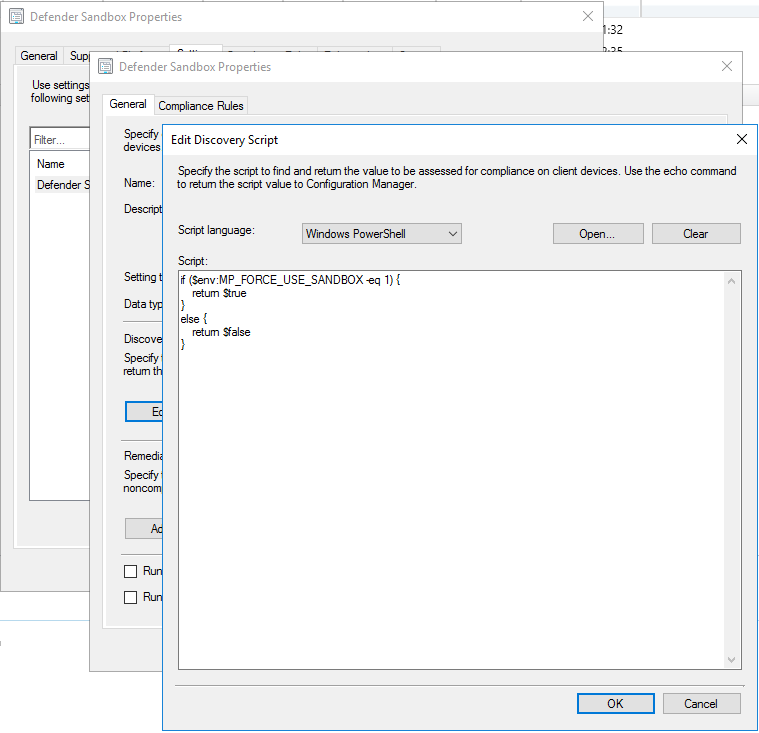 Make sure that Settings for device managed with ConfigMgr Client is set to “Windows Desktops and Servers (custom)”. In the next pane select the appropriate Operating Systems that this can be run on. Hint, Windows XP does not support PowerShell. On the settings pane, hit New and in the configuration set a Name, again “PowerShell version” works just fine. Set the Setting type to “Script” and the datatype to Integer. Hit the “Add Script” button for Discovery script and paste in the following script and then hit OK.
On the Compliance Rules pane hit New and give the Rule a name. I’m calling it BaselineVersion. Hit the browse button and select your Current CI and the Version setting we just created. The rule type should be set to Value and in the comply part set the value returned must “Equal” and then set your desired baseline version. 4 will give you an OK on Windows 8.1 and Windows 10 and 5 will only give you an OK on Windows 10 (this assumes you have not previously upgraded your WMF versions). Hit OK and then Next. Head over to the Configuration Baselines workspace and create a new baseline. Please note this can both be included in previously created baselines but I prefer a separate for this so I can later use the non compliance feature. Give the Baseline a name, “PowerShell”. 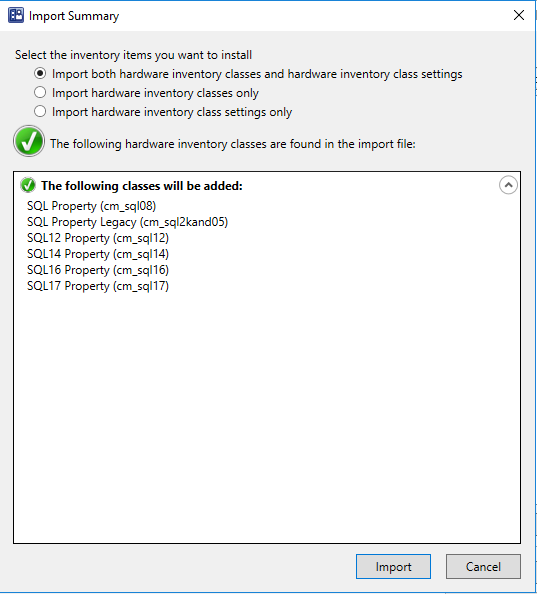 Hit Add, Select Configuration Item and select your previously created CI. This should feel very normal to most of you since it’s the same procedure as deploying any application or client setting. Right click your baseline and select deploy. The wizard will not look like the usual deployment wizards but all you have to do is select a collection to deploy to. I recommend avoiding deploying it to the built-in collections and instead do two deployments if you want to monitor both servers and clients. Before you hit OK change the Schedule to suite your response times. Default is 7 days which in a small environment can be forever but in a large environment it just around the corner. The last step is to create that all needed collection which you can deploy the new Windows Management Framework too. select your newly created baseline, look for a tab named Deployments a the bottom of the console. In this view you can see the collection the baseline has been deployed to. Now right click the collection, select “Create New Collection” and then select “Non-Compliant”. Follow the new Collection wizard and not that the rule for membership is premade. Now all that remains is waiting for the devices to report back status and then end up in the Non-Compliant collection so you can remedy them. For your Windows 7 machines please note that if you have not previously upgraded Windows Management Framework you will need to install both WMF4 and WMF5. WMF4 is a prerequisite for WMF5 and both require a reboot to complete. This might be a good time for a small custom task sequence.